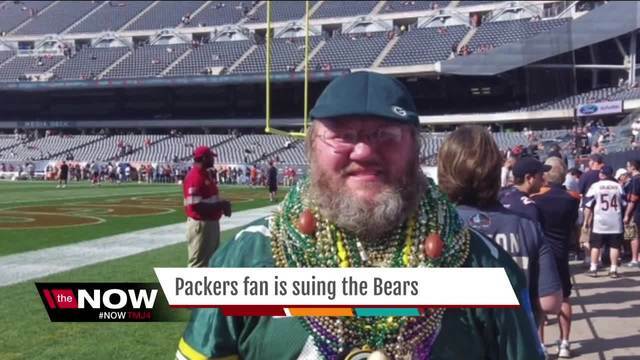 A Green Bay Packers fan has sued the Chicago Bears after he was not allowed to wear his green and gold gear during an on-field, pregame fan experience at Soldier Field last season. Russell Beckman, a Racine County native and a season ticket holder for both the Packers and the Bears, used a rewards points program for season ticket holders to get on-field access at Soldier Field before the Dec. 18, 2016 Green Bay-Chicago game. Less than a week before the game, Beckman says he was notified via email that fans using the on-field warm up pass would not be allowed to wear gear of the opposing team. In the lawsuit, Beckman said he has worn Packers' gear on the field at Soldier Field before the game in both 2014 and 2015 without issue. Before the 2016 game, Beckman emailed the Bears' ticket office several times, even once saying he planned, "to file a civil action against the Chicago Bears in order to prevent this ham-handed and ill-conceived rule from being enforced next season" if he was denied the ability to wear Green Bay garb. The Bears continued to say that the opposing team gear would not be allowed. Beckman still wore his Packers items to the game, and he was not allowed to partake in the pre-game experience. Beckman understands the case may seem silly to outsiders, but he says it’s about more than just a rivalry between the Packers and Bears. “I feel strongly enough about it and I want to do this experience as I grow older with my friends, my children and my grandchildren,” Beckman said. Beckman finds the whole situation a little hypocritical. In 2015, when the Blackhawks were in the Stanley Cup against the Tampa Bay Lightning, the Lightning wouldn’t allow Blackhawks fans into club seating in their arena. Also, they wouldn’t allow people to buy tickets to the game unless their credit card had a Florida zip code associated with it. Beckman also says if the roles were reversed, and a Walter Payton-clad Bears fan were not allowed on the sidelines at Lambeau, he’d defend them. 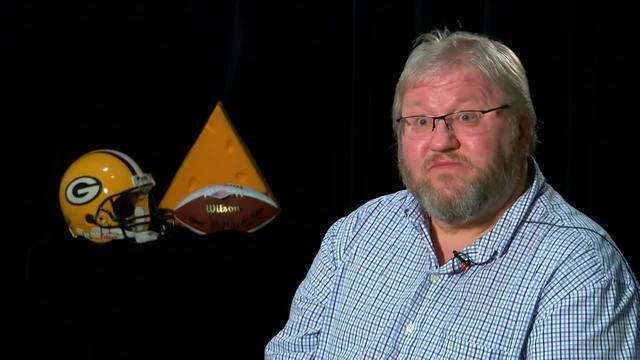 In a phone conversation with TODAY'S TMJ4, Beckman said that he was aware of San Francisco 49ers fans who were also attempted to wear 49ers' gear before the game at Soldier Field. These fans were similarly denied access, but later removed their San Francisco clothing to comply with the rule. "I believe the Bears intend to continue to enforce this new rule into the future. I believe this new policy is misguided and contrary to both common sense and to the NFL's operational mission statement." Beckman also said in the letter to the commissioner that he has the, "utmost respect for the employees in the Bear Ticket office. They did not make this new rule. They are stuck enforcing it." Goodell did not respond to the letter. Beckman has been a Packers' season ticket holder since the 1980's, and a Bears' season ticket holder since 2003. He said he generally only attends games at Soldier Field when the Packers are playing the Bears.